We have accepted Paypal orders for 20 years. Even if you do NOT have a PayPal account, the PayPal shopping cart will process your credit card order as a guest. Most Grooming Business in a Box® products can be ordered using the Paypal shopping cart below. PayPal does not give us your credit or debit card information. They safely process your card and send us a payment into our PayPal account with your order details. PayPal account holders can opt to pay by e-check which takes about 4 business days to clear. We ship your order when the e-check clears. To use the PayPal shopping cart, click the Add to Cart button for each item you wish to purchase. If you have more items to add, click “Continue Shopping.” When you are done, click the Paypal checkout process. Shipping charges are added at checkout based on the total amount of your order. Sales tax applies to Nevada 7.2% and Washington state 7.9% deliveries. Most special offers shown in the right column are available using this Paypal shopping cart below. The special bundle is now available in the Paypal cart below. If the special offer you desire is not included in the cart below, place your order by telephone 800-556-5131 or 360-446-5348 and mention the special offer you would like. Thank you. Orders for deliveries outside U.S. Please email us the products you would like to buy to findagroomer@earthlink.net and mention you want to pay via Paypal. Be sure to include your shipping address and phone. We will ask the U.S. Postal Service for Priority Mail International shipping price (you pay actual price). We will then send you a Paypal invoice for the product and the actual shipping price. You may continue to make a Paypal payment, or simply do not pay the invoice and we will cancel it. U.S. Deliveries Only: $139 thru 3/31/19 Special Offer. 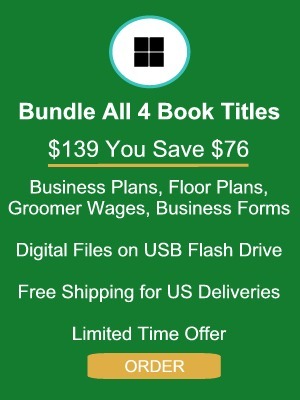 The bundle includes: All 4 printed User Guides with Digital Files USB Flash Drive iincluding Pet Grooming Business Plan Helper & Sampler, Madson Business Forms and Appointment Books, Pet Grooming Floor Plan Concepts and Groomer Wage Systems. We include a USB Flash Drive with digital files for all 4 titles. We sweeten the deal with FREE U.S. Priority Mail delivery normally $19.95. Weight: 7 pounds. Please note the Paypal shopping cart will add $19.95 shipping, but to compensate we lower the $139.00 bundle price by $19.95 to $119.05. As a result the order total via Paypal cart will be the bundle special $139.00. U.S. Deliveries Only: $69.95 Special Offer thru 3/31/19. 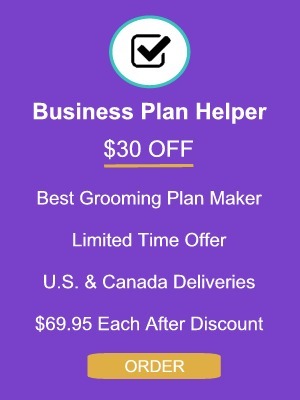 Pet Grooming Business Plan Helper & Sampler includes User Guide with 7 Sample Grooming Business Plans, 360 pages, includes USB Flash Drive with digital files. Weight: 5 pounds. Regular cover price $99.95 plus priority mail shipping. See our Products page for detailed description. OUT OF STOCK UNTIL FEB 10, 2019. You may order and we will ship when available. The sale price generated many more orders than expected. U.S. Deliveries Only: Madson Business Forms & Make Your Own Appointment Books includes User Guide. 33 pages, includes USB Flash Drive with digital files. Weight: 1 pound. Cover price $29.95 plus priority mail shipping. See our Products page for detailed description. U.S. Deliveries Only: Pet Grooming Floor Plan Concepts User Guide. 79 pages, includes USB Flash Drive with digital files. Weight: 1 pound. Regular Cover price $29.95 plus priority mail shipping. See our Products page for detailed description. U.S. Deliveries Only: Groomer Wage Systems User Guide. 85 pages, includes USB Flash Drive with digital files. Weight: 1 pound. Cover price $29.95 plus priority mail shipping. See our Products page for detailed description. U.S. Deliveries Only: From Problems to Profits 1997 Edition 320 pages. Weight: 2 pounds. Cover price $39.95 but we sell at a discount for $29.95 plus priority mail shipping. See our Products page for detailed description. U.S. Deliveries Only: Madson Client & Pet History Filecards illustrated in From Problems to Profits book with instructions. Printed on heavy white cardstock with easy-to-read black ink. Durable. 5" by 8". Sold in packs of 100. $19.95 per 100 plus shipping. Discounts when ordering 500 or 1000, See choices below. U.S. Deliveries Only: 5 packs of 100 Madson Client & Pet History Filecards illustrated in From Problems to Profits book with instructions. Printed on heavy white cardstock with easy-to-read black ink. Durable. 5" by 8". 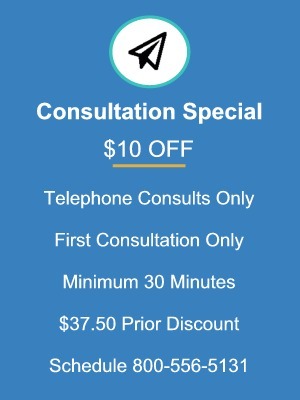 Save 10% on 5 packs, total 500 forms, Only $89.77. U.S. Deliveries Only: 10 packs of 100 Madson Client & Pet History Filecards illustrated in From Problems to Profits book with instructions. Printed on heavy white cardstock with easy-to-read black ink. Durable. 5" by 8". Save 12% on 10 packs, 1,000 total forms, Only $175.56.